June 17, 2017 . Leave a comment. 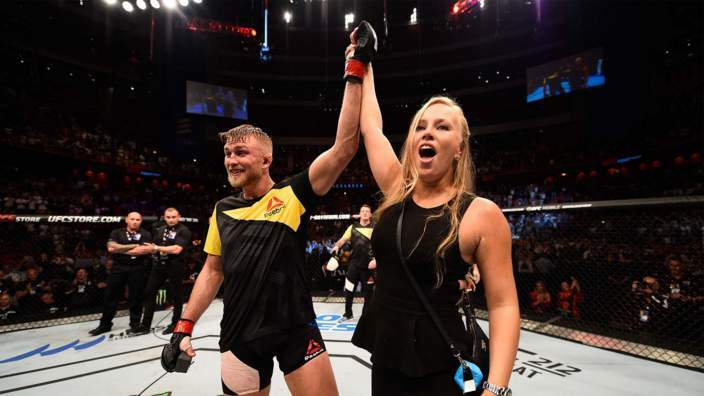 Swede fighter Alexander Gustafsson defeated his opponent Glover Teixeira in five rounds when they clashed in the main event of UFC Fight Night. He won the anticipated bout in front of his hometown fans in Stockholm. ‘The Mauler’ has won two of the greatest heavyweight title fights in the history of the game. After the victory, he proposed to his girlfriend Moa and she accepted, meaning a double victory for the fighter in just one night. “I hit him with bombs and he took every shot. He’s a great fighter, It’s an honour to fight him here at home in Stockholm,” Gustafsson after the fight. They started out with feelers before they started going close range. Teixeira slammed Gustafsson to the mat but he jumped right back immediately. He hit his opponent and successfully evaded a return by Teixeira. The Mauler repeatedly used the uppercut to his advantage during the duel. Teixeira struggled all along but he managed to cut Gustafsson’s left eye. Gustafsson returned the favour, leaving him bloody in the nose. Gustafsson kept on increasing in confidence as they fought on. In round three, he put the Brazilian on the deck with a beautiful combination. Teixeira fought back but soon received an uppercut.Gustafsson slowed down in round fourbut he kept maintaining the tempo against his gutsy opponent. In the fifth and final frame, Gustafsson finished the game off. Referee Marc Goddard stepped in to separate the fight and name the fans’ favourite winner. Gustafsson ranked No 1. He moves 18-4 while the No. 2 Teixeira falls to 26-6 with the loss.